Construction field Oil and Gas, Marine, Petrochemical aspect and etc. Our Works Quality Target End Result to achieve Customer’s Satisfactory. Wilson Standard Test-Consult Limited has been accredited by Hong Kong Accreditation Service (Reg. no. 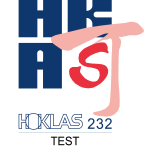 HOKLAS 232) since 2013 under the Hong Kong Laboratory Accreditation Scheme (HOKLAS) for specific activities as listed in HOKLAS Directory of Accredited Laboratory is available from its website (http://www.hkas.gov.hk). We has been accredited for performing specific tests or calibrations for construction materials, in accordance with recognized International Standard ISO/IEC 17025:2005. Are you look for tests and consultancy services? Our services shall always complied with standardized methods and in acordance with customer’s requirements. High quality objectives on end results are always our target. © 2018 Wilson Standard Test-Consult Limited 偉信標準檢測顧問有限公司 .